Arayot is Ready for Zim! 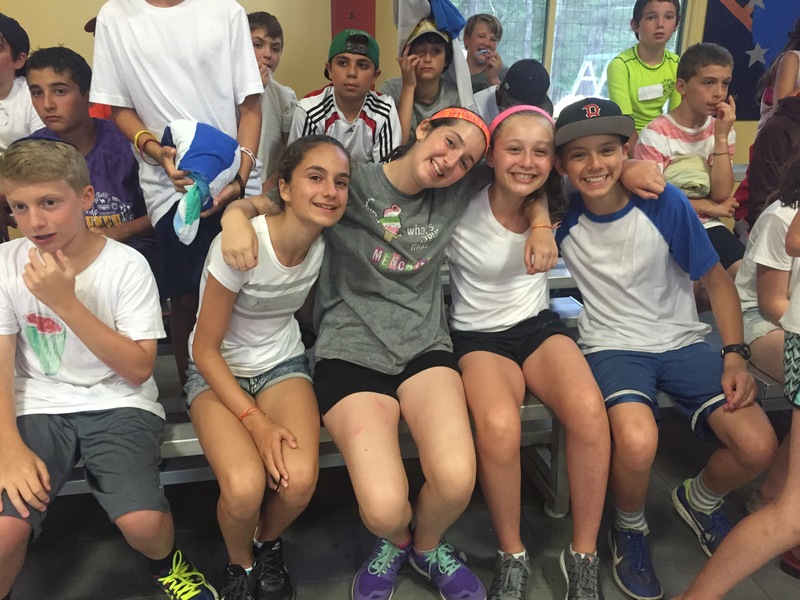 This past week has been full of preparations for זמריה (all-camp song competition). We had a regular day of camp on Tuesday and gathered together in the Ben Tzvi at night to watch the camp play which was a cabaret around the theme of growing up. Kyra S, Shira A, and Abi Z all acted and sang and the rest of Arayot cheered for them from the benches. Wednesday was our אחלה יום (trip day). We had three זמריה practices with the band spread out throughout the day. In between, we had an amazing יום צבע (paint day) activity where we dipped our hands in paint and played tag, בר מצוה games, and icebreaker games. The פעולה (activity) ended with an all out paint fight, and by the end we were all covered. In the middle of the day we drove to a nearby movie theater to see The Secret Life of Pets, and hung out with our hilarious bus driver, Michelle. After dinner, we made a bracket of everyone in the עדה and had them compete in ridiculous competitions, like staring contests, games of concentration, and planking competitions. We had one final זמריה practice and then headed back to the צריפים to go to sleep. This morning, we recorded our songs for זמריה. David, the person who runs the recordings, told us that we were the first עדה ever to only have to record each song once. We’re so excited for tonight; we’re ready to show יבנה what we can do.